Elderly dementia patients in long-term care in Alberta are routinely prescribed so-called 'chemical restraint' drugs despite government guidelines that say they should only be used as a last resort. Elderly dementia patients in long-term care in Alberta are routinely prescribed so-called "chemical restraint" drugs despite government guidelines that say they should only be used as a last resort. "They’re used quite commonly to treat behavioural disturbances related to dementia," Dr. John McDermott said in testimony Tuesday at the fatality inquiry for Carol Pifko. 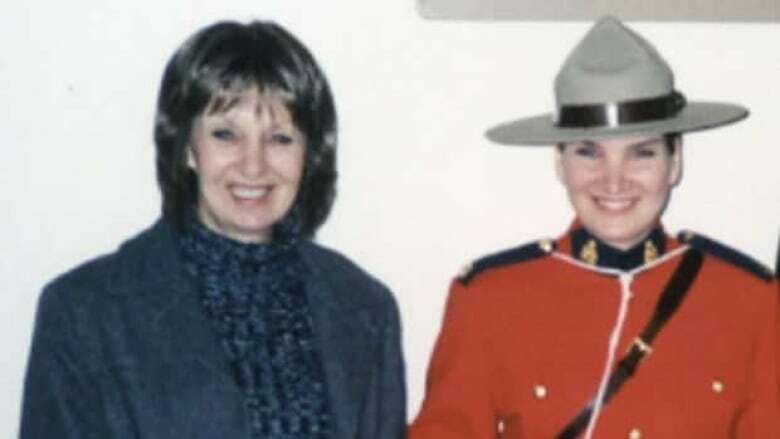 The 61-year-old woman died in Edmonton on May 1, 2009 after she was given double the prescribed dose over the previous week of Olanzapine, an anti-psychotic drug. Pifko continued to be given Olanzapine, even after she was hospitalized, and after her daughter Jodi told hospital staff to stop giving the drug to her mother. The inquiry had previously heard testimony that Olanzapine increases the risk of death in elderly dementia patients by 60 per cent. An autopsy report, obtained by CBC News, shows Pifko’s death was an "adverse reaction to Olanzapine," which is commonly known by its trade name, Zyprexa. "Nobody deserves to be given a drug to knock them out that could cause their death," said Jodi Pifko. In June 2005, Health Canada issued an advisory stating that Olanzapine, and other similar drugs, "are not approved for treating behavioural disorders in elderly patients with dementia." In November 2005, a report – Achieving Excellence in Continuing Care – produced by an Alberta government task force co-chaired by Progressive Conservative MLAs Ray Prins and Len Webber concluded that residents of long-term care facilities were being "overmedicated or inappropriately sedated." It also found that residents and their families want to be consulted "prior to new medications being administered." The findings of that report were codified by Alberta Health in continuing-care standards issued in May 2006. The standards made it mandatory for patients to receive "simple and easy to understand information about their medications" including "potential adverse effects." CBC News has obtained an internal April 2009 Alberta Health Services document entitled Guidelines for Management of Antipsychotic Medication in Continuing Care, which states that anti-psychotics, including Olanzapine, are only to be used as a last resort. They are also never to be prescribed without first notifying the patient and family about the expected benefits, and potential risks. Jodi Pifko said she was never told by staff at Edmonton’s Norwood Continuing Care Centre that her mother had been prescribed Olanzapine beginning on April 24, 2009. Her mother’s condition rapidly declined and she died in hospital at 12:12 a.m. on May 1, 2009, less than 18 hours after she was given her last dose. "If we were told anything about that drug, my mom would never have been put on it because I never would have allowed it," Jodi Pifko said outside the inquiry. Penny Reynolds, Norwood’s administrator, testified she didn’t know whether Carol or Jodi Pifko was told Carol Pifko had been prescribed Olanzapine. Reynolds was also unaware of any policies requiring staff to tell patients and their families about the drugs being prescribed or their potential adverse effects. And she had no knowledge of a warning issued by Health Canada about Olanzapine. Olanzapine and other anti-psychotics are specifically intended for people suffering from schizophrenia or a bi-polar disorder. But throughout North America, anti-psychotic drugs have been commonly prescribed to elderly dementia patients despite not being approved by Health Canada, or its American counterpart, the United States Food and Drug Administration. In fact, packaging for Olanzapine carries a "black-box warning." It specifically advises against its use for elderly people with dementia. Dr. Paula Rochon, a senior scientist at Women’s College Research Institute in Toronto and vice president of research at Women’s College Hospital, is expert in the prescription of anti-psychotic drugs to the elderly. Rochon told CBC about one-third of all long-term care residents in Canada will be prescribed anti-psychotics. And those people are twice as likely to be hospitalized, or die, if they have been newly started on anti-psychotic therapy. "What we would like to see is people looking for non-drug approaches," Rochon said. "Clearly we know these drugs do not work." But she conceded there are few other good options. Jodi Pifko said she wants the fatality inquiry, and a lawsuit she has filed, to provide "accountability for my mother’s death." Both the hospital and the continuing care centre have denied any wrongdoing and say they would not have done anything differently in their treatment of Carol Pifko. "There are a lot of things that need to be done differently," Jodi Pifko said. "That needs to be pointed out so it doesn’t happen to someone else."